Staff shortages for paramedics and ambulance dispatchers are at unprecedented levels and are impacting services across the province, the union that represents ambulance paramedics in B.C. says. 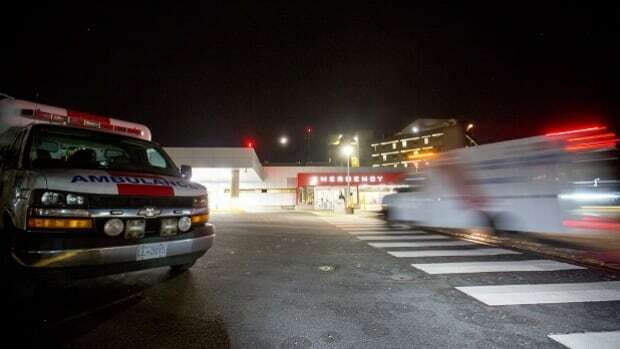 The Ambulance Paramedics and Emergency Dispatchers of BC said paramedics reported last week that during the night shift anywhere from 25 to 40 paramedic units were out of service at any given time across the Sea-to-Sky, Lower Mainland and Fraser Valley areas. This represents 30 to 49 per cent of total paramedic units available in those areas. Union president Cameron Eby says if 40 paramedic units are out of service that means 40 ambulances are not available to people in need. He said the shortage is due to vacant staff positions, meaning the paramedics and dispatchers on shift are “stretched thin”. According to the union, B.C. paramedics experience some of the highest paramedic workloads in Canada and this is contributing to staff burnout. A survey by the Mental Health Commission of Canada found that 81 per cent of paramedics and dispatchers in B.C. do not think the B.C. Emergency Health Services monitors fatigue and burnout, while the majority of those surveyed said they do not feel they have an appropriate balance of call volume to recovery time. Eby says overtime has become the rule, not the exception, for maintaining staff levels and this is reflected in service rates. “This is simply unsustainable and puts the paramedics and the services they provide at risk,” says Eby. The union’s concerns are not solely focused on the Lower Mainland. The Okanagan and Kootenay regions also experienced high out-of-service rates in the past week. A recent auditor general report found that ambulances were only meeting response time targets for the most serious emergencies in urban centres 50 per cent of the time. The BC Emergency Health Services said in a statement it knows paramedics are responding to more calls than ever before because of the province’s aging population and the overdose crisis. They say they are working with scheduling staff to fill shifts with available staff, including part-time and casual employees.